Hollywood actress Lupita Nyong'o has likened starring in 'Star Wars: The Force Awakens' to being "at the best party"
Lupita Nyong'o thinks starring in 'Star Wars: The Force Awakens' is like being "at the best party". The 32-year-old actress - who plays the space pirate Maz Kanata in the eagerly-awaited sci-fi movie - has revealed her excitement about appearing in the franchise, describing herself as a 'Star Wars' "dork". She said: "The film hasn't been released yet so I've only had a light orientation. "But I was at [Disney's D23 Expo] recently where I was onstage with Harrison Ford and the excitement was just so high. "And for me, it was just so cool. I can be geekish. I can be a dork. It feels like I've been at the best party." 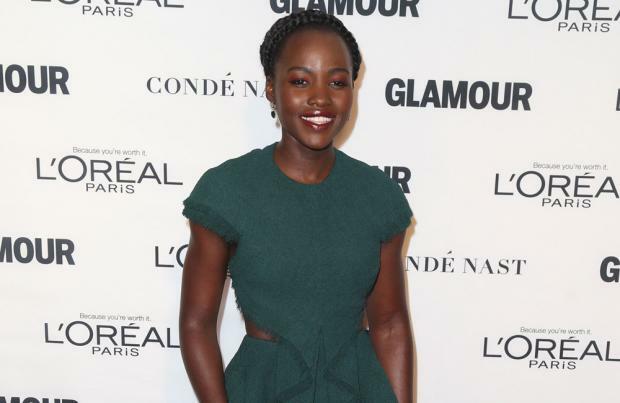 Lupita - who enjoyed a starring role in the 2013 hit '12 Years a Slave' - said she relished the chance to play such an unusual role. She told Elle magazine: "The opportunity to play a CGI character for me was the opportunity to not be limited by my physical circumstances. "I could experience being bigger or smaller, something totally different to who I am. And of course it's in a galaxy far, far away."